Hockey Is My Boyfriend is a smart and funny journey into first love. 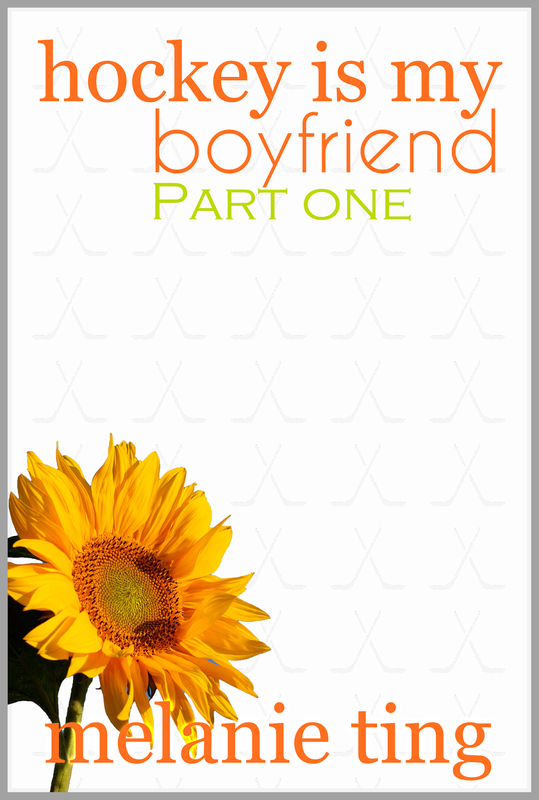 This is Part One of a trilogy, which follows Kelly's adventures as she stickhandles her way through life and love. This book contains adult language and sexual scenes, and is suitable for readers 18+. I've read the book, and I loved it. Not enough for you? Book reviewer Diane Subsits Lynch gave it 5 stars! Still not convinced to check it out? I took advantage of kindly asked Mel if she'd be willing to do an interview and take a break from working on Hockey Is My Boyfriend, Part Two. She agreed. Welcome back to the blog, Mel! You've just released your third work, Hockey Is My Boyfriend, Part One. But fans of yours will recognize these characters from a previously published work. How was it for you, as the author, to revisit Kelly and the gang? Yes, I used to write serialized fiction online and got to know lots of readers that way. 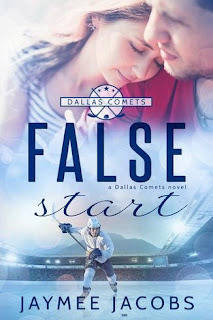 Hockey Is My Boyfriend had its origins as my very first story. I published a chapter every single night for seven months! Looking back, I can’t believe I did all that work, but it was like writing boot camp and a lot of fun. I really miss the regular feedback I got from writing serials. I’ve always liked Kelly as a character. She’s genuine and spontaneous. And she goes to the gym regularly, something I aspire to do. And Phil, what can I say? Rawr. Actually, I like everyone in the book. Dave Vanderhauf is kind of a douche, but I really enjoy writing his lines and in my head I hear them in this low, dumb voice. Secretly, I’m a bro. Hockey Is My Boyfriend is a trilogy. Part One features heroine Kelly Tanaka through adolescence. In Part Two, Kelly's in college. And then Part Three takes place in Kelly's post-collegiate life as she begins her career. What's it like to work with a character through so much of her life? My writing is character-based. I develop distinctive characters and then throw them into situations, and see how they react. The series has a main narrative, but also shows how Kelly and company develop over time. Their language matures, their interests evolve, and their dreams change. So Kelly, who is impulsive, will always be a person who reacts first and thinks later, but she learns to temper her impulsiveness. I like to think that we’re all works-in-progress. 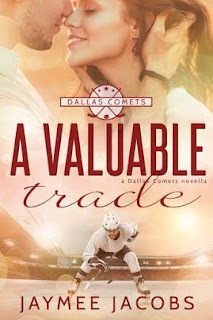 Hockey may be Kelly's boyfriend, but she also has a few other—real!—boyfriends, too. One of those is Phil Davidson, Kelly's long-time best friend. Do you think it's possible for friends to transition into boyfriends/girlfriends? Any advice on how to break out of the "friend zone?" I'm, uh, I'm asking for a friend. I would hypothesize that the best way to go from friends to lovers is quite dramatic. Like a movie style makeover. A night of serious drinking. Or if the guy suddenly saved your friend from the path of a speeding train (or if she saved him) then the huge adrenaline rush could be enough to make them feel attracted. But who wants to risk their lives on the off chance that might work? In Phil and Kelly’s case it was a combination of growing up, hormones, and a kiss—at the exactly right time! Ugh, I guess I'm—friend! I mean my friend!—is out of luck. Anyway, back to the interview. Besides the hunks, there is a large cast of distinct characters, from Kelly's parents, to Phil's parents, and their respective groups of friends, too. Oh yeah, and all those hockey teams. How do you keep all the characters straight? Do you base any characters on real-life people that you know? For a writer, I have surprisingly little imagination. Everyone—seriously everyone—in my books is based on someone. Not 100%, but aspects of each character are taken from real life. This may be why hardly any of my friends know I write. I never have trouble keeping characters straight. I have more trouble separating real life from fiction. Part One features a high-school heroine; however, we know that we're going to see her mature and develop in Parts Two and Three. Does that affect how you can classify Part One in a genre, i.e. Young Adult or New Adult? What kind of audience will Part One appeal to? I’m so glad you asked this question. I think all this categorizing is a crock. If I want to read books about teenagers and watch 10 Things I Hate about You even though I’m grown up, why shouldn’t I? We don’t have friends who are all the same age, so why should we read only about characters our own age? I do see a certain irony in the fact that the first book is set in high school, and it has a warning that it’s not suitable for anyone under 18, but that’s the industry standard rather than my personal philosophy. The fact is that there’s a period in our twenties that we make a lot of life decisions, about our careers, our love lives, and our goals. I happen to think that’s an exciting time, so that’s what I’ve written about, so far. But I may write about seniors some day, if that’s what inspires me. 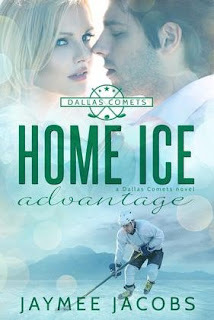 My books are for people who like to read about hockey and relationships, regardless of age. That’s all. So, now that everyone is completely intrigued and wants to read your book, please tell us where we can find Hockey Is My Boyfriend Part One! Awesome. I think it’s a great read, but I may be biased. You can find it on Amazon. Great interview! I read Fresh Air and How the Cookie Crumbles, and enjoyed both. 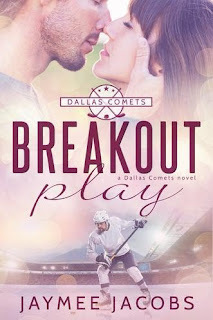 Hockey is my Boyfriend is on my TBR list!